Provide comfort for the family of Douglas Jackson with a meaningful gesture of sympathy. 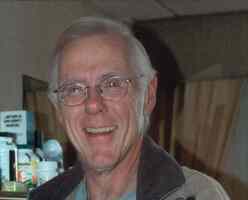 Douglas Charles Jackson, 75, of Englewood, died Tuesday, January 29, 2019 after a long battle with Alzheimer's disease. He was a son of the late Charles and Florence Evans Jackson. He was born on October 24, 1943 in Bellmore, New York and graduated from Hofstra University with a degree in mechanical engineering. He worked for TVA as safety engineer and manager of employee concerns for over 25 years. Doug was the true epitome of the "Renaissance Man". He was devoted to his family and the community as he wanted to make a difference in the world and plant seeds for the next generation. One of his proudest accomplishments was being a Boy Scout Master for Troop 114 as he fostered many young men to become Eagle Scouts and paved their way to fulfilling lives. He was also active in Gem Theatre Players of Etowah as a board member and director and actor in multiple plays. As a volunteer of the McMinn Regional Humane Society (MRHS), he was instrumental in creating the local PetFinders website and conducted numerous animal rescues, and volunteered at the Athens Animal Shelter. Doug was also a committed volunteer for E.G. Fisher Library-Friends of the Library (Board Member), Meals on Wheels, American Youth and Soccer Organization (AYSO), and the Combined Federal Campaign for TVA. Doug was a devoted husband to his beloved wife and best friend, (Barb) Barbara Hendricks Jackson for over 47 years. He is also survived by two children, Shane Jackson (Amy) of Knoxville and Courtney Ruckert (Carl IV) of Columbus, Georgia and three beautiful grandchildren: Delaney, Charlie, and Carson Jackson; his sister-in-law Carol Ann Hendricks of Valley Stream, New York and brother-in-law John Hendricks (Pam) of Pittsburgh, Pennsylvania. A funeral service will be conducted 11:00 am, Saturday, February 2, 2019 in the chapel of Smith Funeral Home with Rev. J.C. Allen officiating. Interment will follow in the Cedar Grove Cemetery. The family will receive friends from 4:00-7:00 pm Friday at the funeral home. Memorial donations may be made to the Alzheimer's Association (225 N. Michigan Avenue, Floor 17, Chicago, IL 60601), Boy Scouts of America-Great Smoky Mountain Council (1333 Old Weisgarber Road, Knoxville, TN 37909), or the McMinn Regional Humane Society (219 Alford Street, Athens, TN 37303). A special thank you is extended to the staff of Spring City Care and Rehab and East Tennessee Hospice for their loving care, compassion, and dedication towards Doug and Barb. To send flowers in memory of Douglas Charles Jackson, please visit our Heartfelt Sympathies Store. Immediately following the service at the funeral home. Jim Jackson, Jerry and Carole, and others have sent flowers to the family of Douglas Charles Jackson. Shane, Carole and I are sorry that we cannot be there with you. Please know that you are in our thoughts and prayers during this time of grief. Barbara & Family. So very sorry to hear about Doug. I know his memory and how much he loved you all, will bring you peace and comfort. God bless. Jim Jackson purchased flowers for the family of Douglas Jackson. As you grieve know that we are remembering you and honoring the memory your Dad. Jerry and Carole purchased flowers for the family of Douglas Jackson. Jordan and Courtney Sanford purchased the The FTD Loving Light Dishgarden for the family of Douglas Jackson. Shane - So sorry for your loss. Thoughts and prayers are with you and your family. The Stogner family purchased flowers for the family of Douglas Jackson.